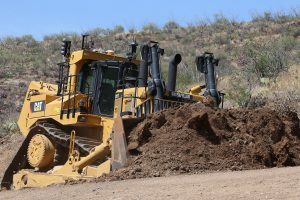 The legacy of the Cat® large dozer began a little more than 40 years ago with a revolutionary elevated sprocket and new undercarriage design that looked unlike any dozer of its day. 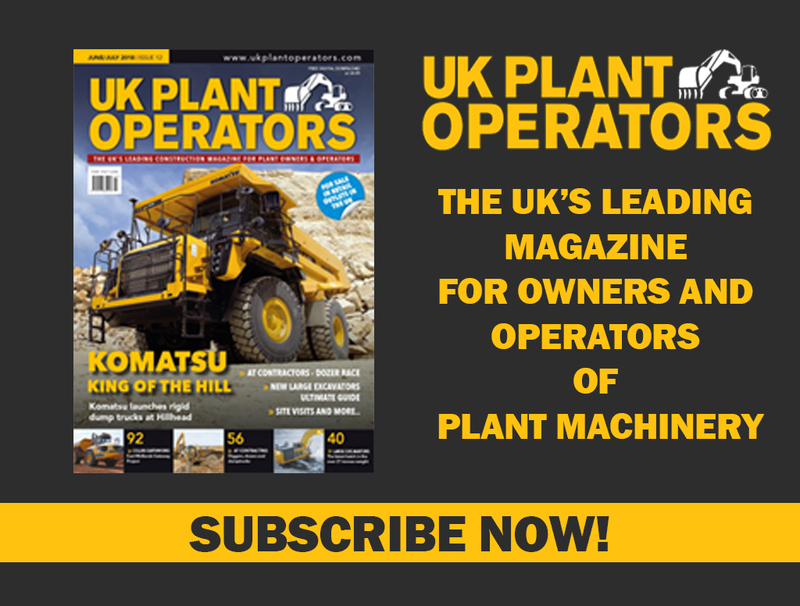 The groundbreaking suspended undercarriage with high drive design conformed to the ground better than standard oval tracks, helping to improve machine traction, extend undercarriage life and enhance operator comfort. 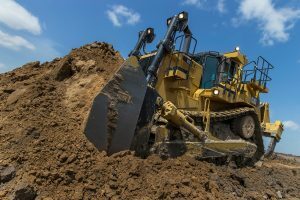 In October, representatives from Caterpillar Inc., Finning Canada and Teck Resources Limited (Teck) gathered in East Peoria, Ill. to celebrate the milestone of the 40,000th Cat large dozer rolling off the production line. Core to Caterpillar’s global identity, the current Cat large dozer line includes the D9, D10 and D11 models. Denise Johnson, Caterpillar group president responsible for Resource Industries, handed the keys of the 40,000th large dozer to Louis DeLuca, Teck director of supply management, during the ceremony held October 25. The celebration included employees in Caterpillar’s Building SS, where all 40,000 Cat D9, D10 and D11 dozer models have been manufactured. For more than 10 years, Teck has been one of the top customers in the world for Cat large dozers. 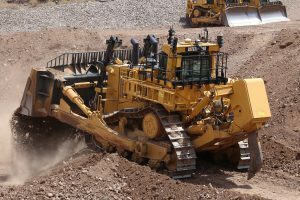 The 40,000th large dozer, a 225,000-lb (102 058 kg) D11T, will operate in the Elk Valley Region near Sparwood, British Columbia, where the company produces steelmaking coal at five mining operations. The milestone D11T is equipped with a powerful Cat C32 engine, producing 850 horsepower and capable of moving up to 900 loose cubic meters of material per hour. Even in Teck Coal’s demanding, high-production application, the powerful and efficient powertrain ensures the material is moved at a lower cost per ton. Its rugged mainframe is designed for multiple rebuilds and lowest total cost of ownership. A host of standard and optional Cat technologies, including VIMS™ 3G, Automated Blade Assist, Enhanced Auto Shift and Advisor Monitoring System, increases operating efficiencies, advances safe operation and lowers costs.